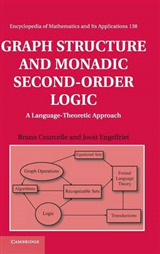 The projective and polar geometries that arise from a vector space over a finite field are particularly useful in the construction of combinatorial objects, such as latin squares, designs, codes and graphs. 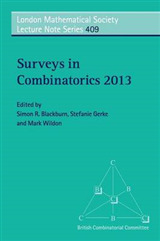 This book provides an introduction to these geometries and their many applications to other areas of combinatorics. 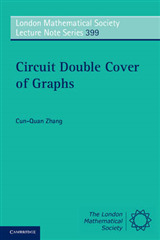 Coverage includes a detailed treatment of the forbidden subgraph problem from a geometrical point of view, and a chapter on maximum distance separable codes, which includes a proof that such codes over prime fields are short. 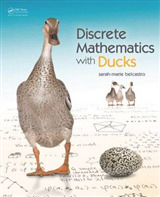 The author also provides more than 100 exercises complete with detailed solutions, which show the diversity of applications of finite fields and their geometries. 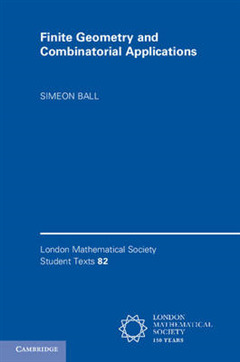 Finite Geometry and Combinatorial Applications is ideal for anyone, from a third-year undergraduate to a researcher, who wishes to familiarise themselves with and gain an appreciation of finite geometry.